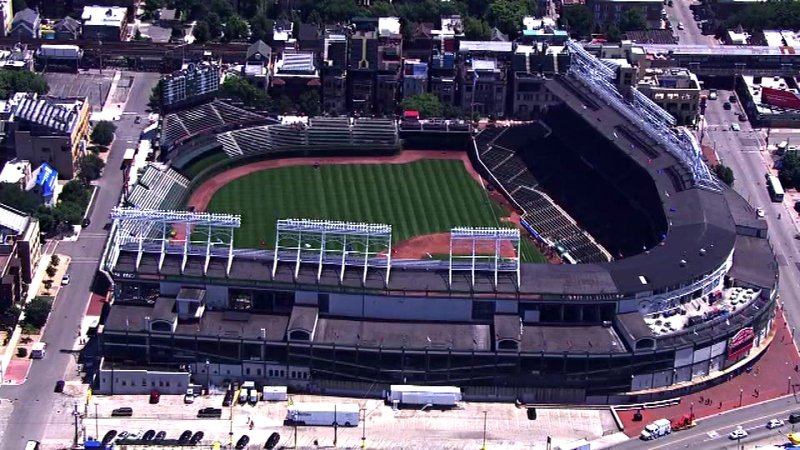 CHICAGO (WLS) -- A 42-year-old man died Wednesday of injuries he sustained after he fell over a railing at Wrigley Field and hitting his head Tuesday night, police said. Police said shortly before 11 p.m. Tuesday, the man fell over a railing onto his head. He was taken by private ambulance to Illinois Masonic Hospital, police said. He died Wednesday afternoon. The Cubs issued a statement on the incident, saying, "Following yesterday's game, a male fan was injured after a fall as he was exiting the ballpark. Paramedics responded immediately and transported him to a local hospital. We have since learned he passed away today though we have no further information. The thoughts and prayers of our entire organization are with his family during this difficult time."